LONDON, UK — Known as one of the UK’s largest and most ethical coffee chains, AMT Coffee has adopted the software and hardware solutions of global point of sale provider Epos Now to streamline business operations and cut costs. The rollout of Epos Now solutions consists of more than 80 devices across AMT Coffee’s many locations in England and Ireland. Epos Now brings a modernized and efficient system to AMT Coffee’s many locations, harnessing cloud technology to manage stock, coordinate reports and process day-to-day operations at the large coffee chain’s locations in airports, railway stations and hospitals throughout the UK. 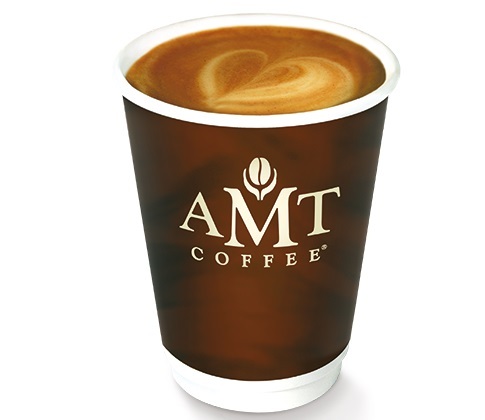 Founded in 1993 by three brothers, AMT Coffee was first national coffee company in the UK to use 100% biodegradable cups and lids, as well as the first to receive the Fair Trade Mark. The private company prides itself on being 100% British and completely dedicated to customer satisfaction, making every drink made to the customer’s preference.